Please be aware that the prices do not include VAT. 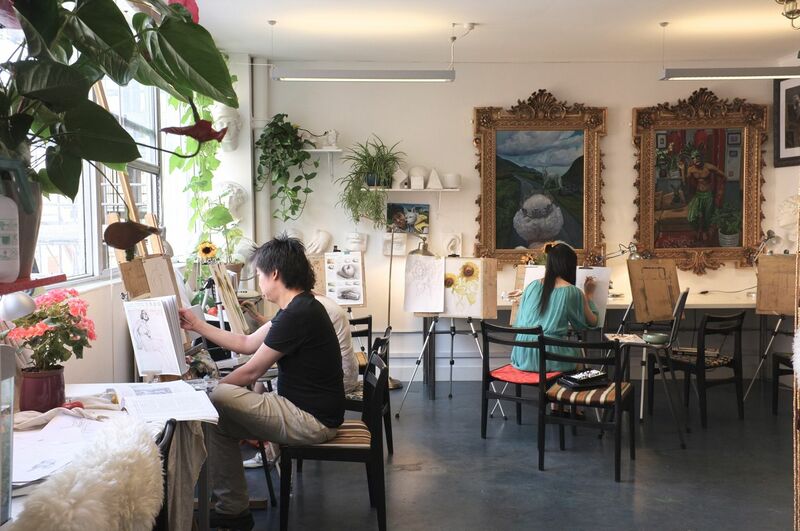 Our beginner’s art classes are held in our central London’s art studio. 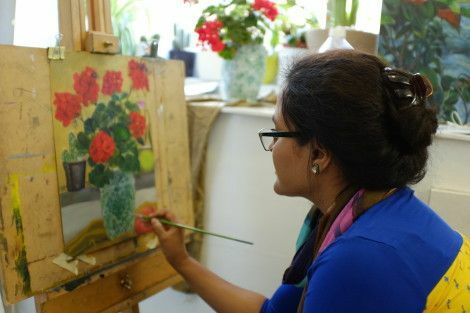 In these classes, students are taught the fundamental techniques of drawing and painting, such as lines, shading, mixing colours, compositions and dimensions. Sunny Art Centre is one of London’s leading art institutions, located in central London. Our staff have been specialised in teaching art and organizing art events for over ten years. Our vast experience includes working on behalf of leading corporations such as Selfridges & Co, Harrods, Giorgio Armani, Freshfields, HSBC Bank, Royal Academy of Art, PricewaterhouseCoopers( P W C), ITV, SKY TV, BBC Worldwide, Victoria& Rolf, amongst many others. These classes are aimed for those with a passion for art but has never taken art classes, or those who have taken art classes a long time ago and wish to pick up drawing/painting again. These classes are also suitable for young people who are thinking of applying to art schools. If you wish to relax and have a bit of fun while learning about art, or simply to get away from the stressful workdays, this is also the class for you. You will achieve a good understanding of forms by first learning to draw various geometric shapes and single objects. Then you will proceed to painting, and will be taught colour mixing techniques, colour values and how brush strokes can be applied for various textures. In our Beginner Classes, you will be introduced to basic drawing/painting materials such as graphite, charcoal, pastel, oil pastel, oil paints, watercolour and acrylic. The step-by-step nature of our Beginner Classes allows students to easily acquire and improve their basic drawing and painting techniques. At the end of the course, students will have a good grasp of forms, the ability to use basic materials and a motivation to develop their new skills. Please note that the classes do not include materials, except for paper for pencil drawings. We have different materials including drawing and painting packs for sale at our studio. The drawing and painting packs are recommended by our professional art teachers, and when you purchase the materials at our studio our art tutors will also go through the materials with you prior to purchasing. Our art materials come at a very competitive price. We recommended you to purchase the materials at our studio as when you purchase art supplies on you own you might take the risk of buying the wrong materials. For more information you can see what materials are for sale on our website under ‘Art store – materials’. - The goal that he or she would like to achieve at the end of the course. - The chosen materials (from water colour, oil, acrylic, gauche, pencil, pastel and/or mix media) that they could like to experiment during the course. Thereafter at the end of each class, the student must discuss and agree with the tutor the subject matter for the following class. Whilst each student must process using the same course structure set out below, he or she may vary their progression through the various stages in consultation with the tutor. -This stage aims to build up an understanding of art and colour, find out students’ abilities and difficulties through general drawing or painting. -Introduction to the materials and basic techniques through copying geometry shapes cast. -Introduction to acrylic painting materials and basic techniques through copying simple art works. -Focusing on techniques, these classes guide students to develop their ability to draw and paint single object still lifes. 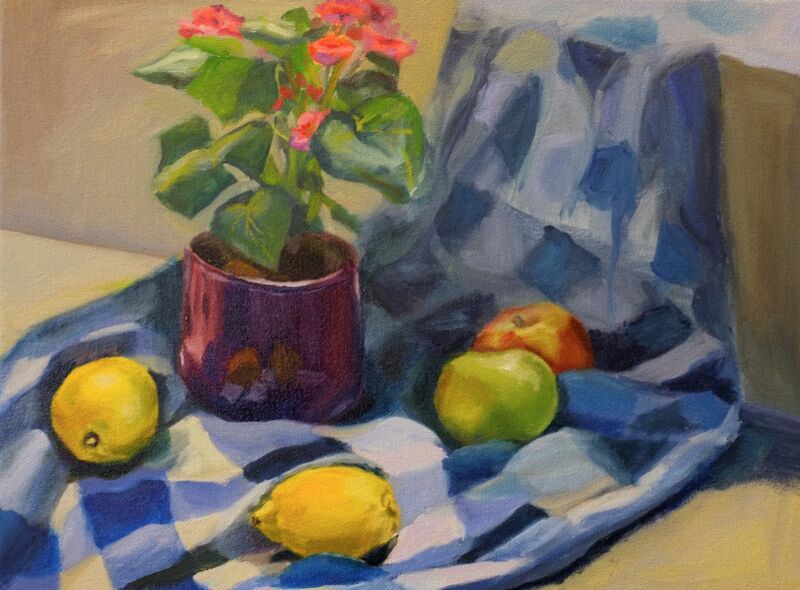 -Based on previous classes, students are required to develop compositions by drawing and painting multiple object still lifes. -Through the practices of different art materials and themes, students are required to apply what they learnt in their work. -Focused on details and the application of various techniques, these classes further develop students’ ability to complete works in advanced level.